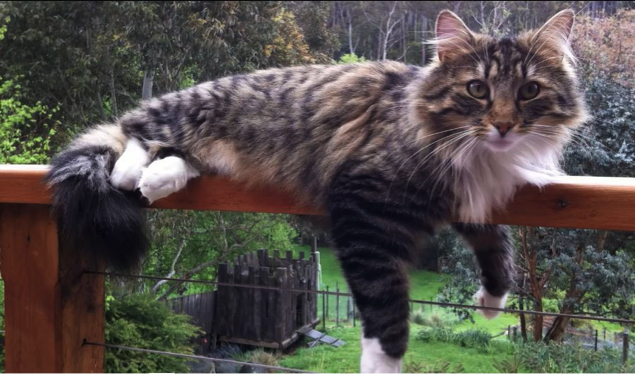 Over recent months with funding from Ten Lives Cat Centre and Bruny Island Environment Network I have been working with local cat owners and Small World Documentaries to develop a series of educational videos on responsible pet cat ownership. The short, engaging videos capture real-life stories of cat owners sharing the benefits and practicalities of containing their cats. This project is particularly exciting as, to the best of our knowledge, these videos are the first of their kind anywhere around the globe! 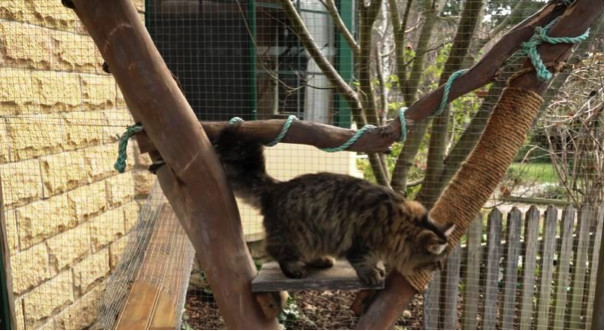 A range of approaches is featured including modifications to houses, decks, fences and garden enclosures; a custom built cat enclosure; and use of a harness and lead. The videos show the cats (Richard Parker, Pompom, Duchess, O’Malley, Morris, Lily and Rasputin) going about their normal daily activities and highlight the many advantages, both for the cats and their owners. The videos will be launched in January 2018 and will form the basis of a social media campaign. It is hoped that they will inspire many more cat owners to share their experiences…. so stay tuned!! And next year a complementary series of videos will be developed, by the TCT, with funding from NRM South. This series will provide advice on enclosure design and construction and information on how to help cats make the transition to containment by addressing possible behavioural problems. Top image: happy contained cat, Rasputin, on his lead. Photo by Lara van Raay. Have you thought about making a tax deductible donation to the Tasmanian Conservation Trust?